What a wonderful film this is! Be Natural: The Untold Story of Alice Guy Blache spotlights the pioneering French filmmaker Alice Guy Blache, who was there at the very beginning of movies. Director Pamela Green tells Alice Guy Blache’s story from her earliest days in 1895 as a secretary for Leon Gaumont using an astonishing wealth of archival materials. While Gaumont concentrated on the technology of early film cameras and projectors, Alice made the films to demonstrate the new technology, writing and directing what is possibly the first narrative film in 1896. She was one of the first film directors and certainly the first woman director, yet strangely she was all but forgotten, rarely mentioned in film history and even unknown to most directors now. In her documentary, Pamela Green underscores that astonishing fact in an opening montage of famous directors, most of whom say they have never heard of her. Presented in a visually lively style, Be Natural: The Untold Story of Alice Guy Blache goes way beyond merely chronicling the facts of Alice Guy Blache’s life – her innovations, her many awards while working at Gaumont, her marriage to fellow filmmaker Herbert Blache, their immigration to the US where they opened their own movie studio – but gives examples of her films and puts her work in context of both film history and feminist history. The title comes from a phrase Alice Guy Blache – her actors when making films at her Solax movie studio, and this excellent documentary backs that up with clips from her films and discussion of the natural acting style she demanded. The documentary goes on to highlight her influence on cinema greats such as Eisenstein and Hitchcock, and discuss her command of lighting and mis-en-scene. The film also details how she was pushed out of film making as men took over, and then gradually erased from its history. This well-researched, intelligent documentary is not just a welcome introduction to this pioneer filmmaker, but a delightfully entertaining and engaging film to watch. 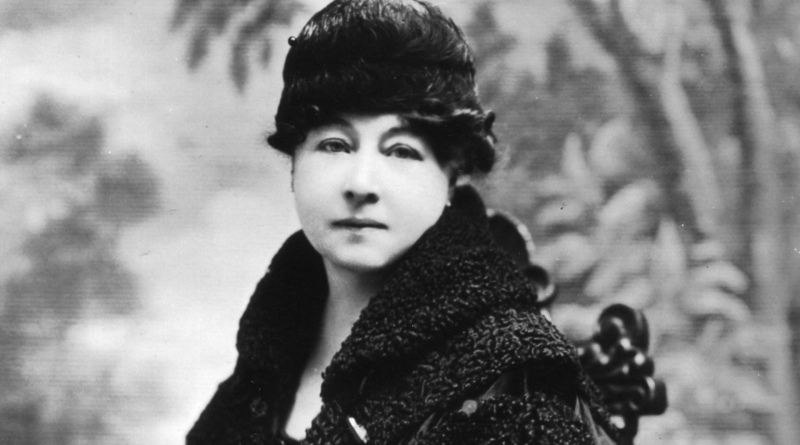 For all film fans, Be Natural: The Untold Story of Alice Guy Blache is a must-see.